When a family heading on a weekend vacation comes across a violent gang during an initiation ritual, things go from bad to bloody as this trip takes a turn in the wrong direction. This story will make you think twice about flashing your headlights! Ooh! I enjoyed that one. Not really a bittersweet ending, but I nice finish to a grim tale! I’d heard about the gang initiation of shooting someone who flashes their lights at you, but this story was compelling! We have a gang, spending their nights initiating new members. One isn’t sure though! He’s also off his head on drugs too. This story takes us right through to the end – not just the twist, which is excellent, but also to the mop-up. It is a well told story with some excellent artwork! Before the Duchess, before the Caterpillar and before the Revenge of Wonderland, an event of nightmarish proportions ripped through the realm of dreams decimating all the beings who dwelled there. 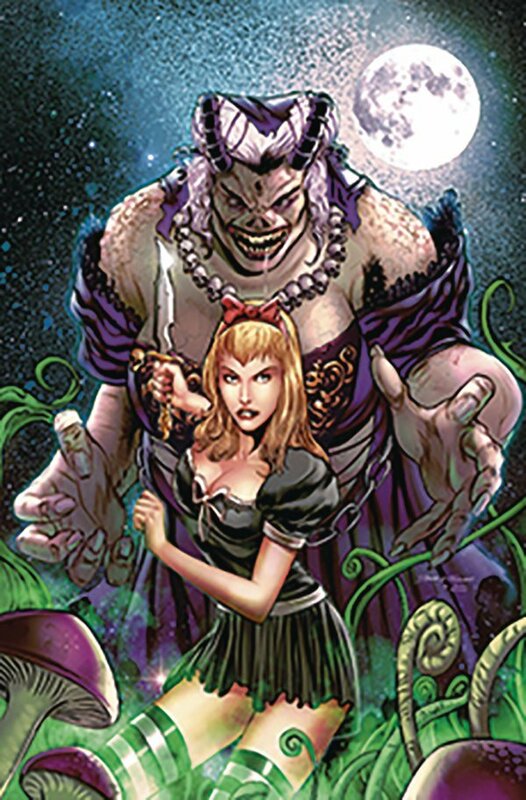 An event that in this epic issue will finally be revealed as Calie Liddle finally comes face to face with the Duchess of Wonderland. Violet is mainly a spectator in this issue. We do get some nice moments with Callie though. Callie finally meets the Duchess, and there is a little about what came before. What happened to the Red Queen. too. There is an interesting comment about Cheshire and the Hatter, and I wonder what has become of them? The fight scene was well done, with Callie fighting like a mum should for her daughter. There are some excellent double page spreads in the build up to the end too. This did feel like a short issue though. Final issue to come though! Paradise Court was supposed to be the dream place to live but Amy has found that behind it’s pristine lawns and beautiful houses is nothing but a nightmare. She’s seen past the facade and found something sinister and evil and her story comes to an end with a twist so shocking you will never look at your neighbors the same way again. 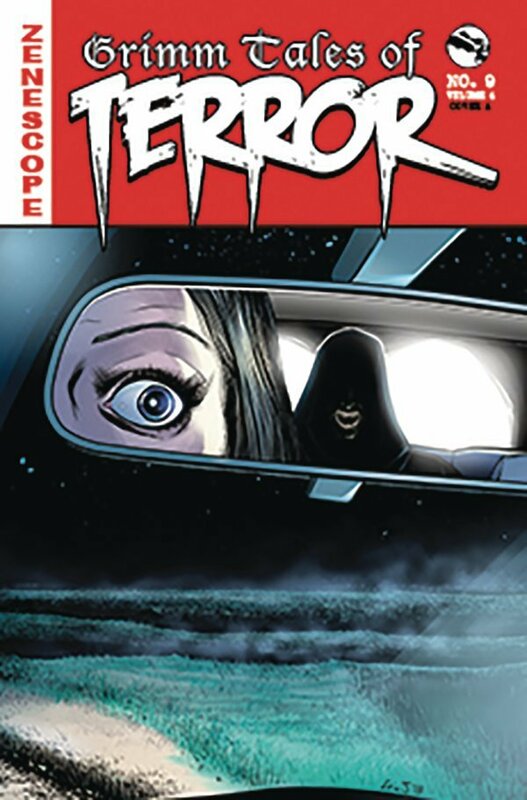 The final issue of this gruesome mini series and this one is the most bloody of the lot. Some things all make sense, with some interesting revelations. Amy and Christian make a break for it, but things are not looking good. It looks like help is on its way, but there are problems ahead. This was really the only ending you were going to get, and it worked out pretty nicely. I do wonder if there will be a sequel series – that would be interesting!